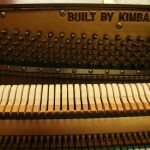 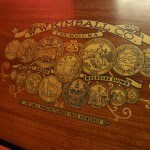 William Wallace Kimball founded the W.W. Kimball Piano Company in 1857 in Chicago. 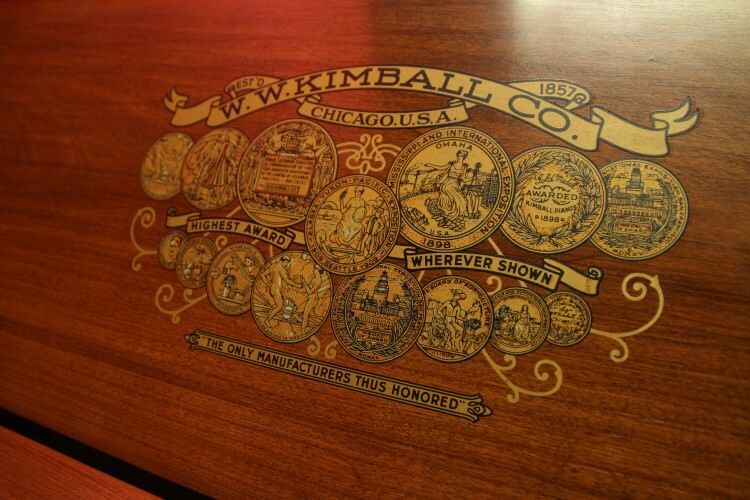 The original W.W. Kimball piano factory was located at 26th and California Streets in Chicago. 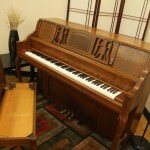 Destroyed by fire with the loss of many historical records, a new factory was later built in Melrose Park, Illinois. 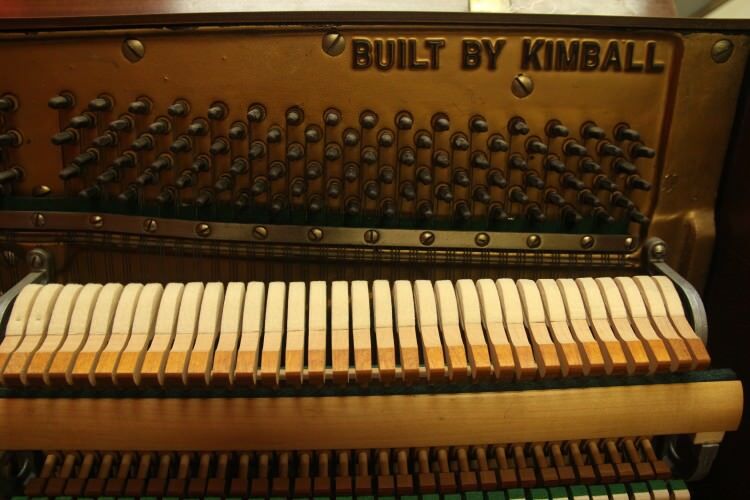 The Kimball piano factory was one of the largest manufacturing operations in the world, with rail lines running through the facility, dropping off raw materials and picking up finished pianos for shipment. 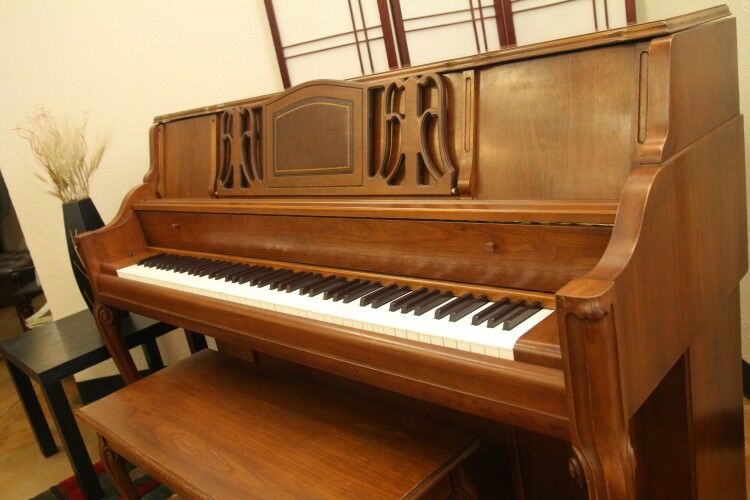 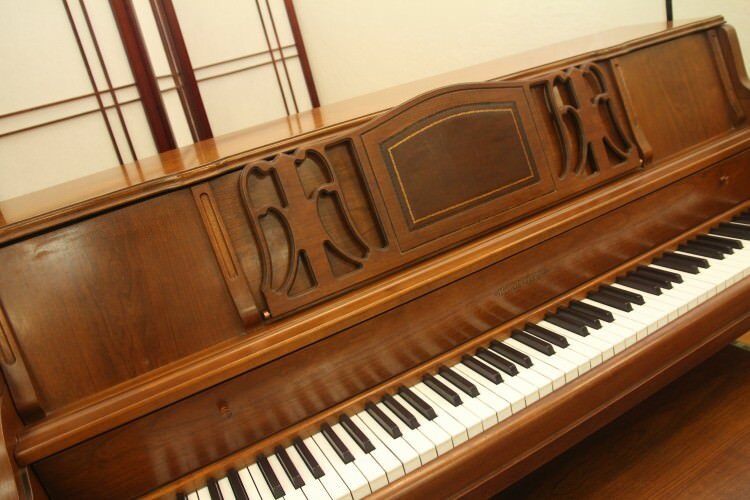 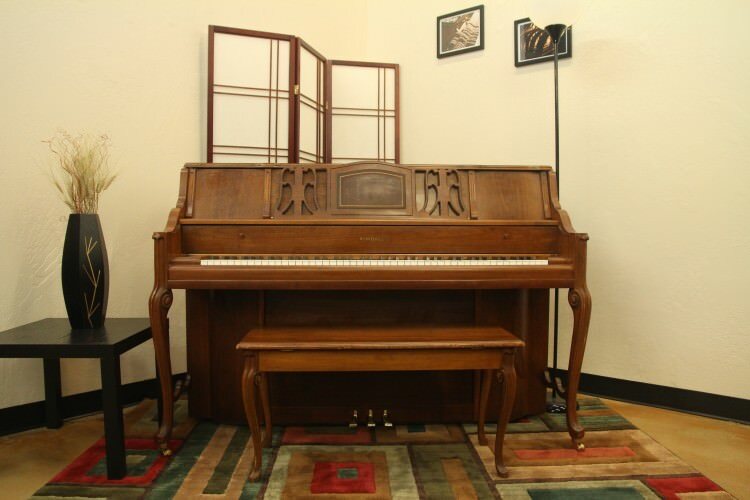 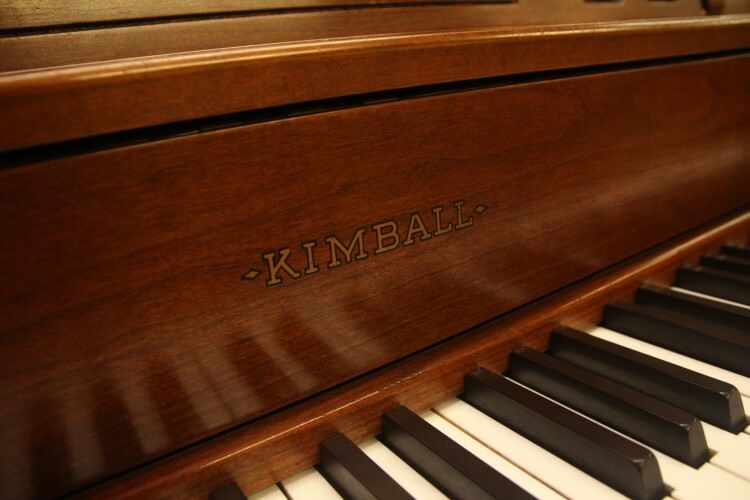 Kimball was the world’s largest piano manufacturer from the late 1800s until the Great Depression of the 1930s. 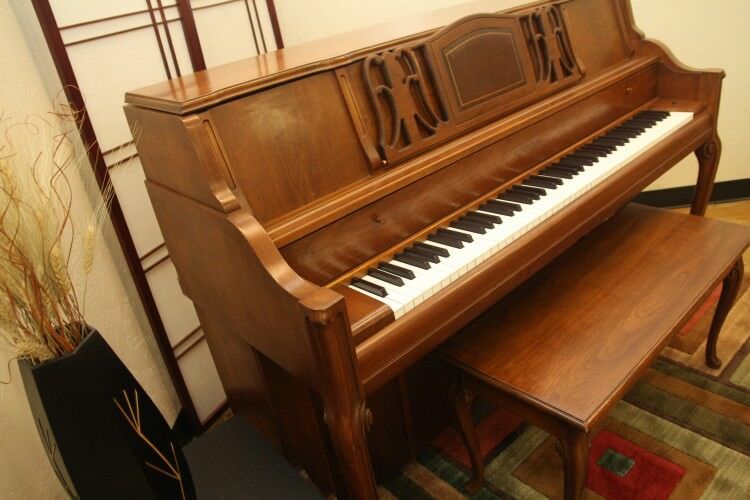 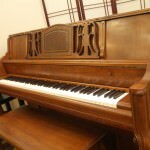 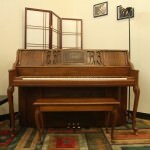 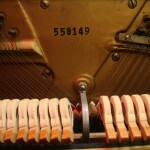 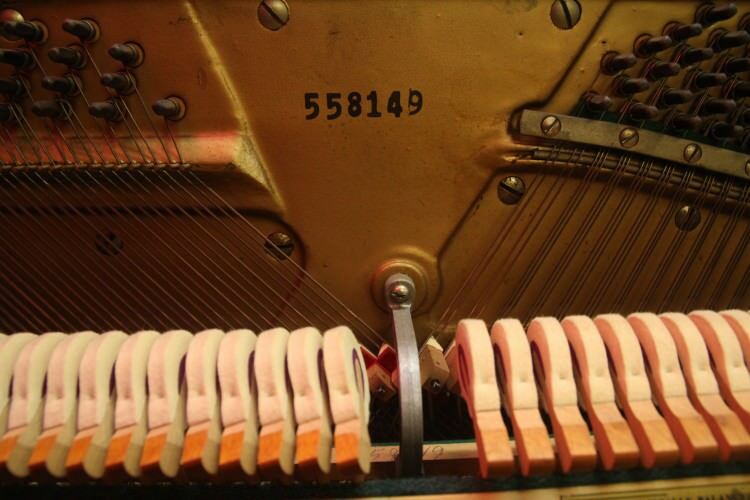 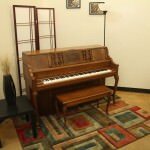 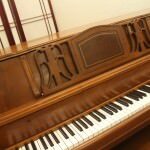 Piano production was relocated to the small, southern Indiana town of West Baden, Indiana, where the company was rejuvenated and once again began to grow. 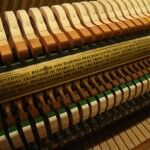 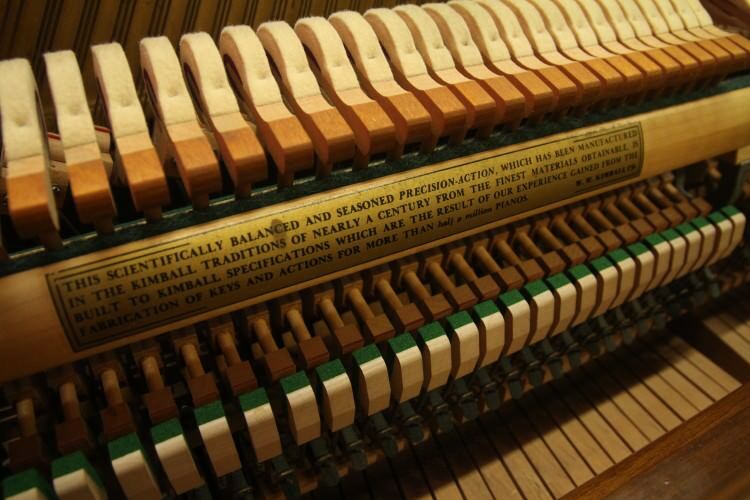 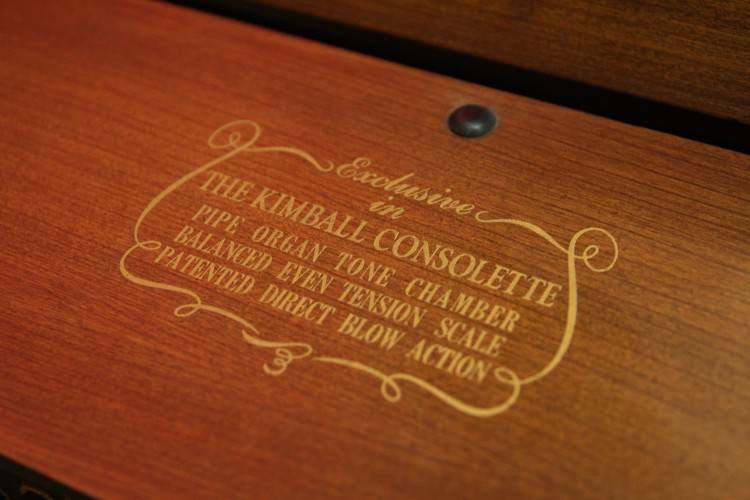 Ten years later, Kimball was once again the world’s largest piano company. 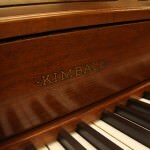 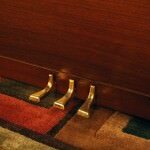 At its peak during the 1960s and 1970s, the company was manufacturing approximately 100,000 pianos and organs per year, remaining true to the piano company’s original sales slogan, “Music For The Millions.” Kimball produced 250 pianos and 150 electronic organs per day. 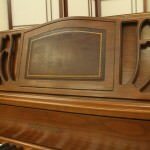 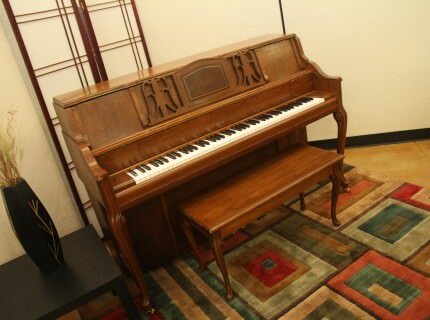 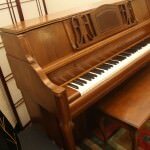 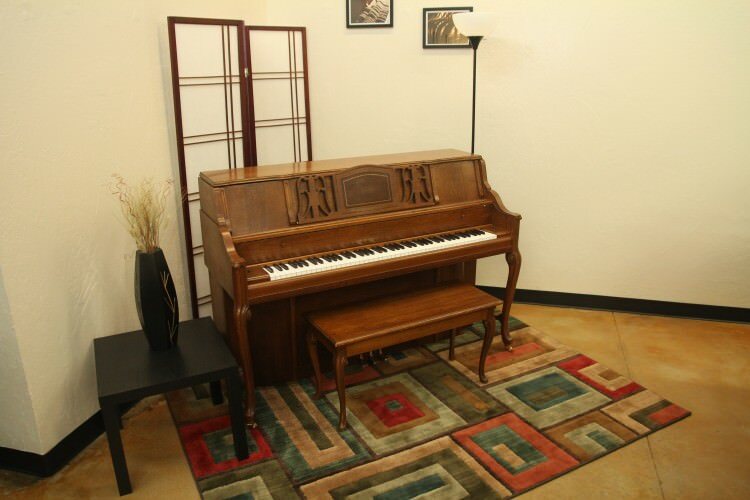 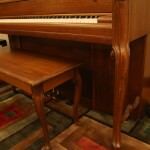 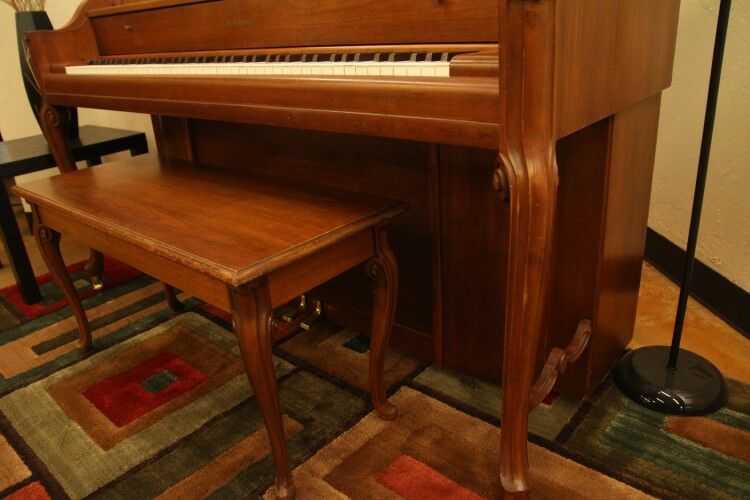 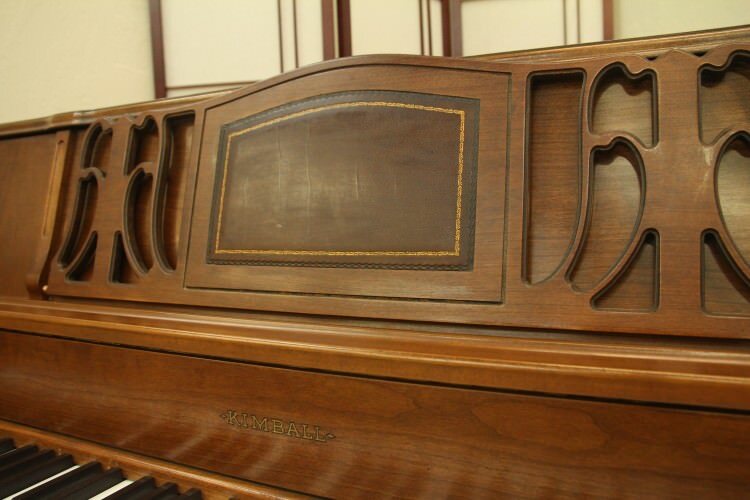 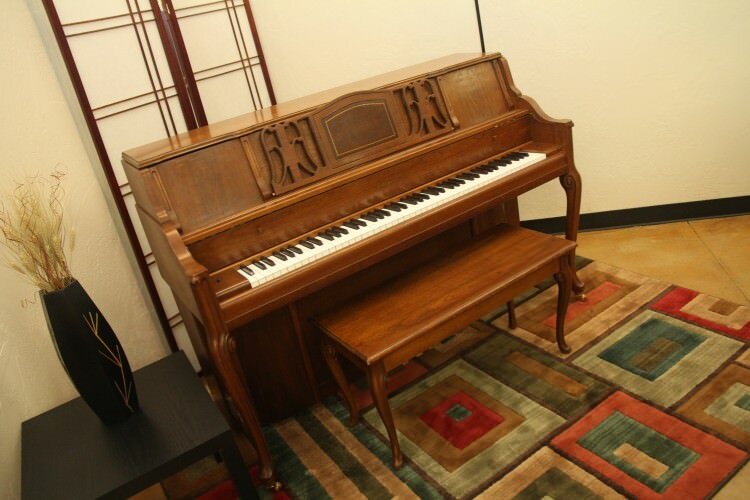 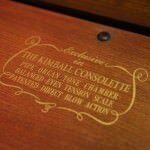 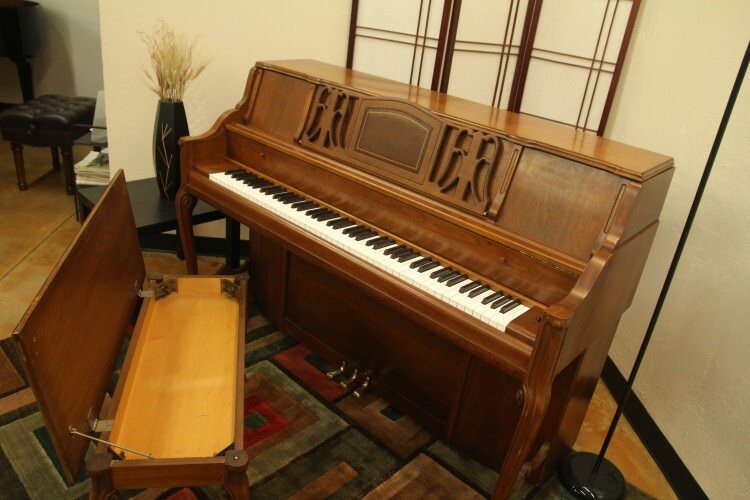 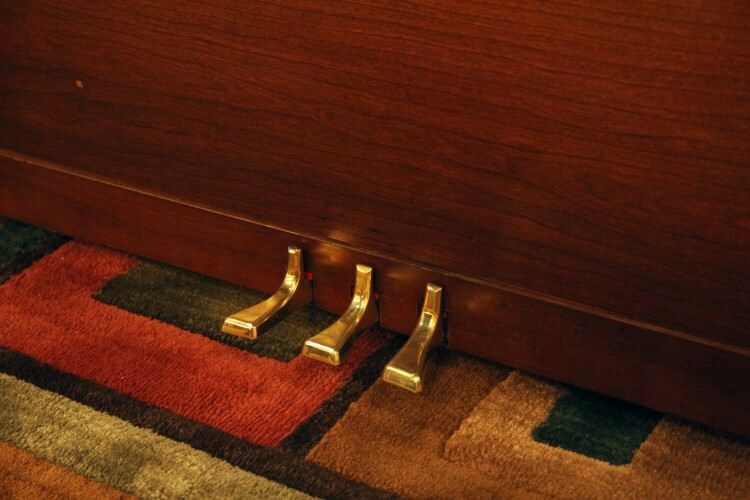 This Decorator Console is a fine example as to why Kimball was so successful with their pianos for so many years!